A pharmaceutical company that produces OxyContin, a powerful opioid painkiller, is under investigation by the New Hampshire Attorney General’s office for deceptive marketing practices. The Connecticut-based company, Purdue Pharma, has refused to comply with a subpoena for documents that detail its marketing practices in New Hampshire, arguing that the government’s use of a private law firm for the case is illegal. Last year, Purdue was one of five drug companies subpoenaed by the attorney general’s office for illegal marketing practices. All of the companies refused to comply with the subpoena on the grounds that the government illegally used a private law firm to issue the subpoena. The private firm was set to gain financially from any payout the companies would have been required to pay. But this spring, a judge ruled that the Attorney General could hire the firm for a flat fee. Purdue has continued to resist the subpoena. This would not be the first time OxyContin was sued for marketing practices. 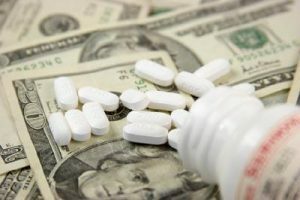 In 2007 the company paid $630 in a settlement after being found guilty of misleading doctors and patients about the risks associated with the drugs. Amid a crisis of drug-related deaths in New Hampshire, government officials worry that OxyContin’s marketing practices are still misleading consumers. The company continues to market the drug as effective for 12 hours, though numerous studies have found that the drug becomes less effective at the end of the time period, increasing the risk of withdrawal symptoms, overdose, and possible addiction. The Assistant Attorney General of New Hampshire noted that Purdue made 217 marketing visits to New Hampshire in 2014. The company is being singled out because it sells about 25% of all prescription painkillers in the state. In 2015, New Hampshire set a record for the number of drug deaths in one year in the state. About 357 deaths in 2015 have been attributed to opioid drugs. If Purdue is found guilty, it will be charged a hefty fine for its misdeeds. But fines for misrepresentation and illegal marketing practices are nothing new for drug companies. In fact, big pharmaceutical companies have paid more than $30 billion in fines for criminal and civil charges. Many of the settlements reached by these large pharmaceutical companies are less than 5% of the total profits of those companies. Purdue earns about $3 billion in revenue every year, with most of those revenues coming from OxyContin. Opioid drugs have received national attention over the last few months over growing concerns about reliance, addiction, and accidental death related to the drugs. The recent death of Prince again brought to light the tragic consequences of opioid addiction.